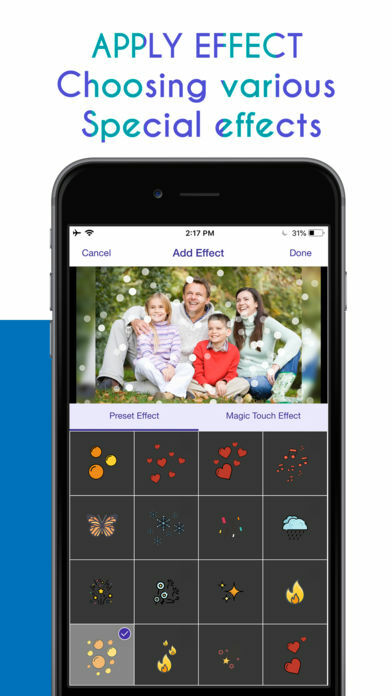 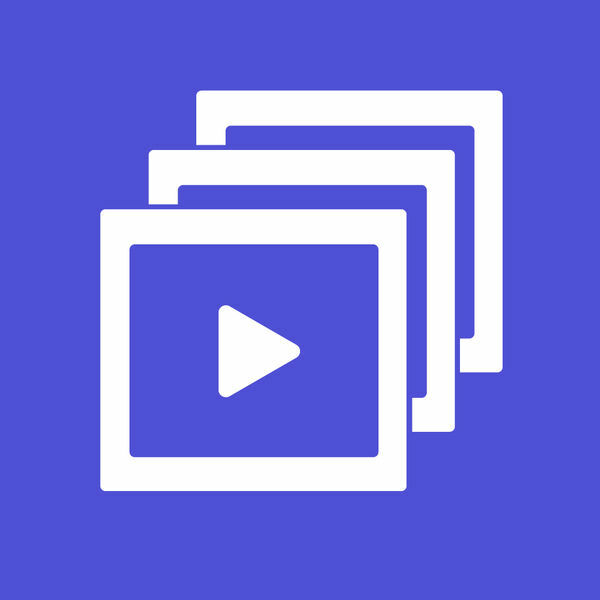 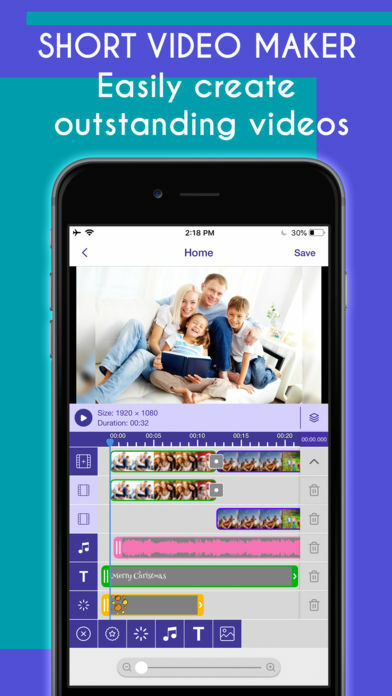 Short Video Maker is an amazing video editor that will provide you the necessary tools for creating your own personal video using your photos from the camera roll. 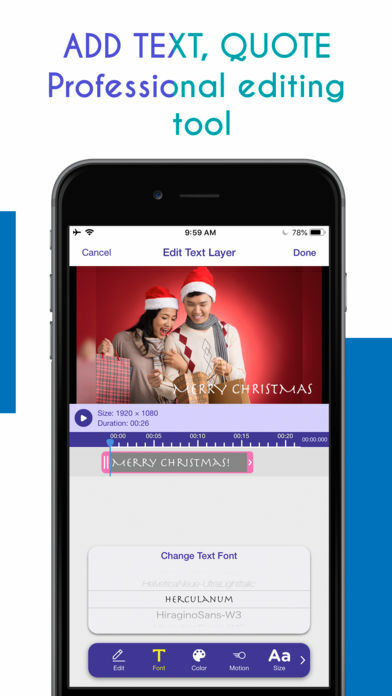 Start creating your project by setting its title and importing desired pictures into the video editor. 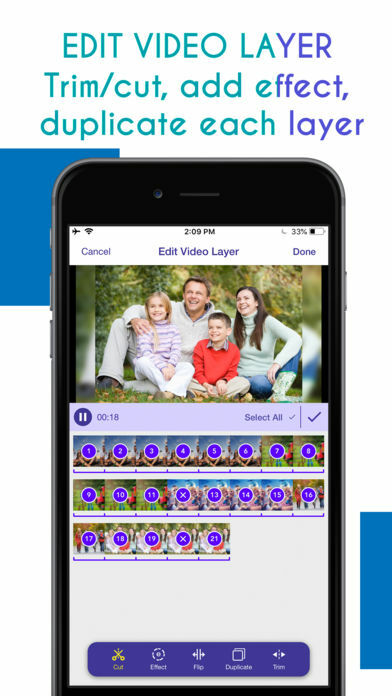 You can set the order of the photos, choose video templates to modify the way the pictures appear on the screen. 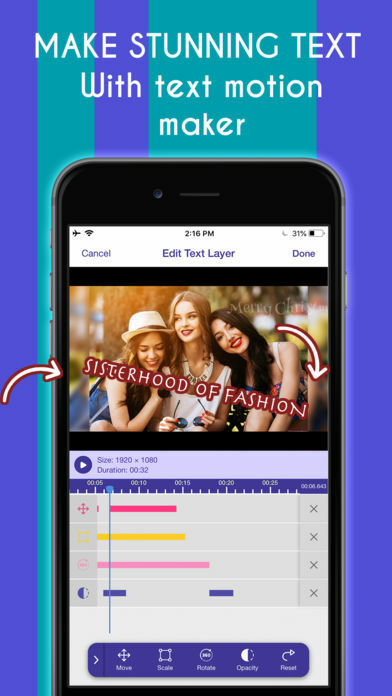 Also you can add a song, apply various photo effects and filters and select the format of the video. 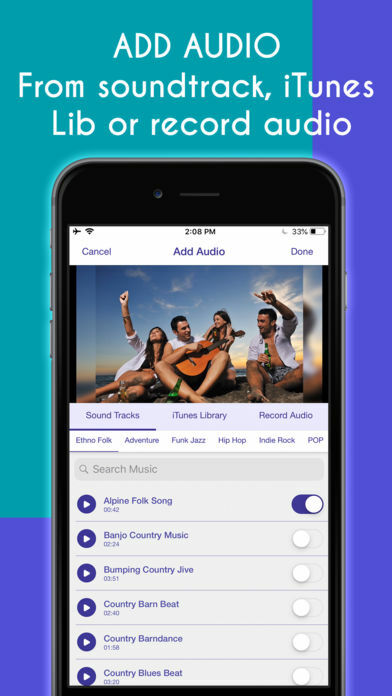 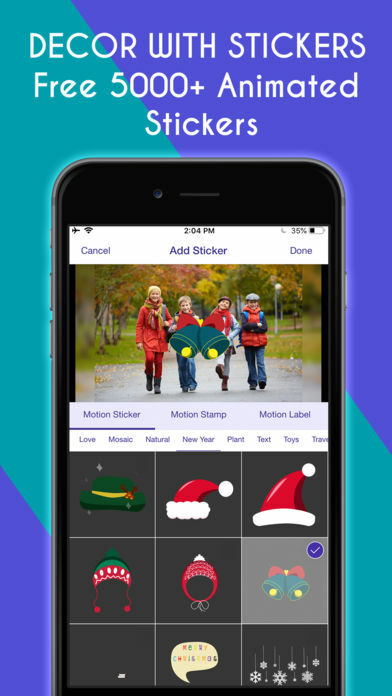 By subscribing you get unlimited access to music, stickers, effects and save unlimited videos.